Be the first to hear about their new releases and deals. Download the Booksprout app and search for Viola Estrella today! Viola Estrella, an award-nominated author and 2010 RITA® finalist, loves a story with humor, flawed characters, paranormal elements, and romance. She tries to include these aspects in all that she writes and loves every minute of it. 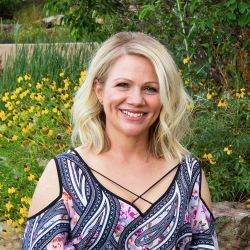 When she's not reading, writing, or designing cover art, she's spending quality time with her husband and sons in their Colorado home.